The Sea Princess was launched in 1998, and has travelled the world as a signature Princess cruise ship for most of the last 18 years. Refurbishments in 2009 and 2012 have spruced the ship up and delivered several new features in keeping with other Princess vessels. A further dry dock stint in Singapore during 2015 will result in Sea Princess looking fully refreshed and ready to treat passengers to first-class voyages from its home port of Sydney. 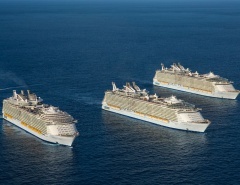 Hosting just under 2,000 passengers and 900 crew members, the 77,500 tonne Sea Princess is medium sized by today’s cruise ship standards, in comparison with some of the recent mega-ships being built. 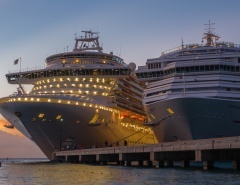 The Sea Princess is an ideal cruise ship choice for passengers who want to experience the majesty of the seas and fantastic destinations without feeling like they are trapped on a floating theme park. The Sea Princess is renowned for having one of the most appealing atrium areas in the cruise ship industry, and although some cabins are a little small by today’s standards, the wood panelling and design features are quite classy and give passengers a reminder that they are on a ship and not just a floating hotel. 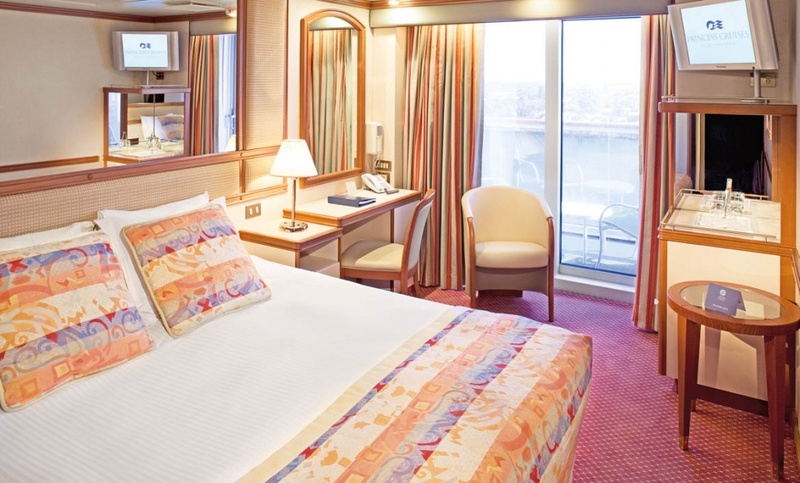 New carpets, bedding and upholstery courtesy of the recent refurbishments also make passengers feel they are getting good value for money on a ship that is well maintained and well respected in the industry. Another upgrade feature is “The Sanctuary”, an adults-only retreat providing intimacy and time out away from the kids. Here you can relax on comfortable loungers, enjoy a massage, and sample signature beverages. The Sea Princess provides a welcoming mix of entertainment, activity and healthy diversions to ensure you arrive at your destination invigorated, relaxed and ready to explore. 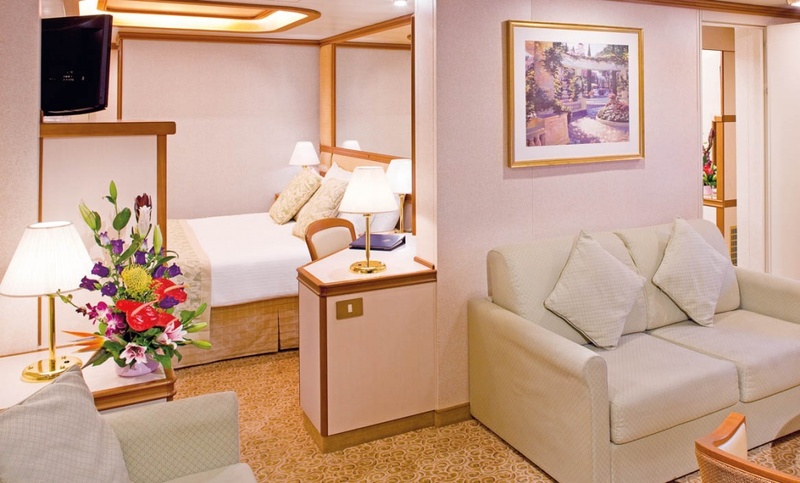 Ranging from inside twin rooms to AA deluxe suites including a balcony, the Sea Princess provides cabin options for everyone from singles to larger groups. There are also 19 cabins for disabled passenger comfort and convenience. 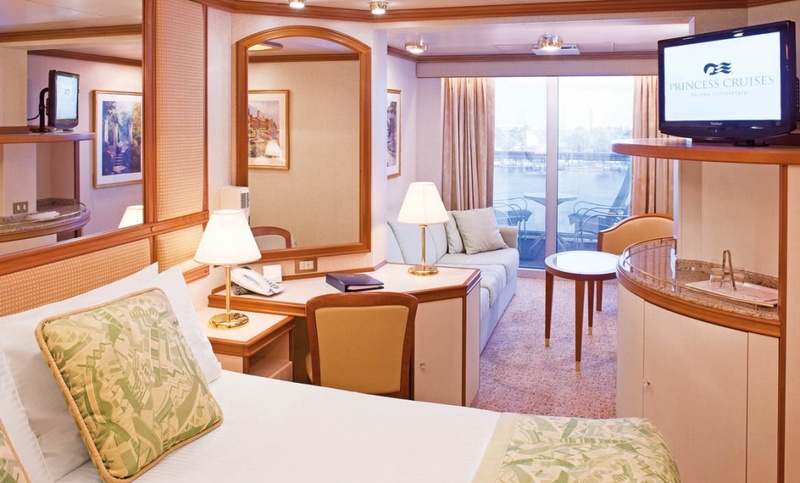 Suite accommodations: Every Sea Princess Suite is replete with luxurious options, with facilities varying slightly according to size of the suite. Amenities include a walk-in closet, living room, separate sleeping areas, whirlpool bathtub, shower, sofa bed, vanity, armchairs and table, luxury balcony furniture, 2x flat-screen TVs, CD/DVD player and more. Balcony cabins: These attractive cabins include floor to ceiling glass doors leading to the balcony which is furnished with a table and patio chairs. 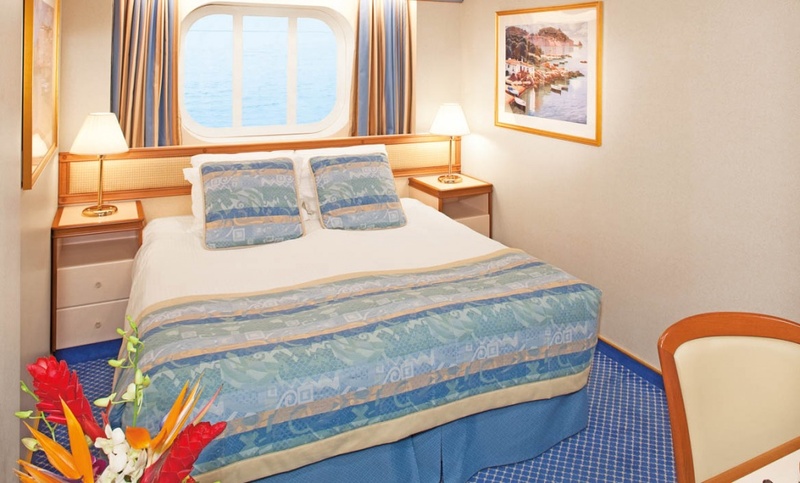 Other features include plenty of closet space (ideal for longer voyages), bathroom, desk and opulent bed. Some balcony cabins include extra beds for a 3rd and 4th passenger. Oceanview cabins: There are several options in this category. Premium Oceanview are larger accommodations, the OE category has a porthole window, and the OW category has some obstructed view through the porthole window. 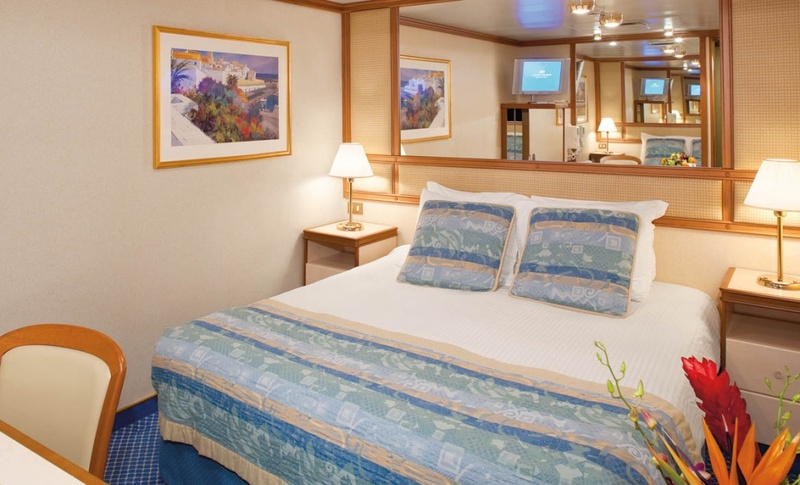 Oceanview cabins are furnished and styled meticulously in keeping with the Sea Princess theme. Inside cabins: These are the budget option and are suitable for passengers who require a sleeping space without all the bells and whistles. They are equal in size to Oceanview cabins, and have the same amenities and features, except for the porthole window. Additional cabin amenities: Every cabin has a living area that includes a vanity, desk and seating, two twin beds that convert to a queen-size, closet, flat-screen TV, safe, phone, bath products, deluxe Egyptian bed linens, mini-bar/fridge, air-con and complimentary 24-hour room service. 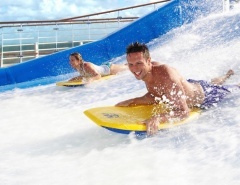 In keeping with modern cruise dining styles, Sea Princess provides flexible dining options. The two main restaurants, Rigoletto and Traviata are similarly appointed with large widows, ornate wood panelled walls, and glamorous lighting. Traviata is the option for traditional pre-assigned seating times where you will dine with fellow passengers. This option is not for everyone though, so Rigoletto is the “anytime dining” choice which gives you the flexibility to dine when you want. The complimentary food choices at the two restaurants are many and varied to satisfy the tastes of just about everyone. 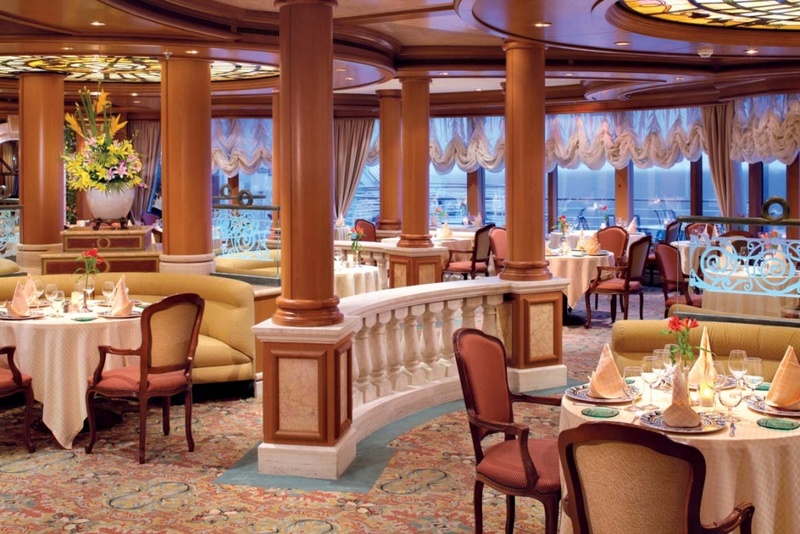 Sea Princess also has speciality restaurants for passengers who want to splurge a little. Stirling Steakhouse is a traditional American style eatery appointed with decorative table settings, impressive cutlery and even table lanterns for creating a special appeal at night. Sabatini’s offers the authentic taste of Italy, featuring Mediterranean meals and premium seafood. Kai Sushi is the place to experience Japanese cuisine at its best. Here you can enjoy fresh sushi, seafood and a host of oriental flavours. Ultimate Balcony Dining is a signature Princess dining innovation, where you can enjoy fine dining on your own suite balcony. You will be served by dedicated waitstaff, with options that include champagne, fresh flowers, a mouth-watering four course meal and many additional delicacies. Ultimate Balcony Dining is also available for breakfast, where yummy pastries, fruits, quiche and extra treats provide the best morning wake-up at sea. Not everyone wants to sit down to a full-course meal. 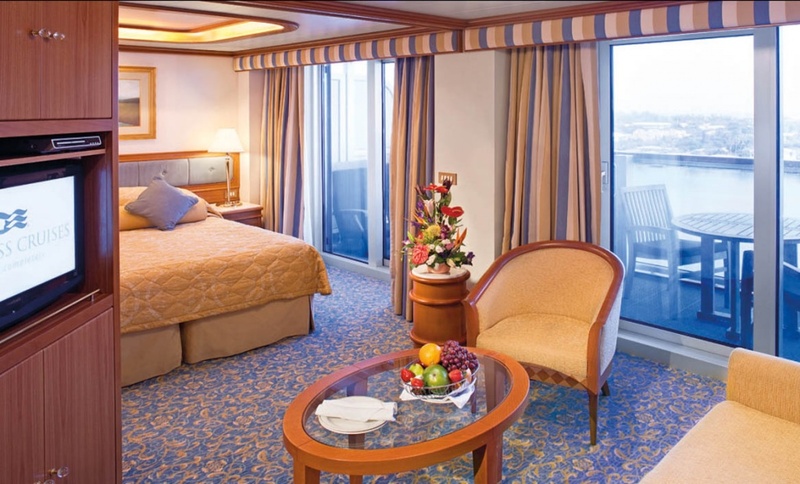 The Sea Princess has plenty of fast food and family-friendly meal options also. The 600-seat Princess Theatre comes alive at night with showtime attractions that include singers, musicians, comics, illusionists and more. The twice-nightly shows are varied and extremely popular. Film buffs are not neglected on the Sea Princess either. The giant Movies Under the Stars screen is a great way to relax outdoors, and films are also shown in the Princess Theatre and Vista Lounge. Daily exhibitions such as cooking demonstrations, computer lessons and even origami will have you showing off to family and friends on your return home. 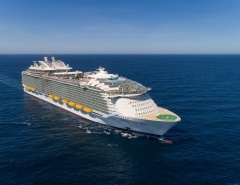 However, most of the ship’s features pale into insignificance compared to the four-deck-high atrium, with sweeping contours, marble staircases and glass lifts. This area is a focal point and a meeting point for passengers moving in every direction around the ship. Kids are not overlooked on Sea Princess either. The ship provides youth and teen centres replete with video games, movies, jukeboxes and arts and crafts. The kids areas are age-appropriate, with even the youngest ones enjoying karaoke, pyjama nights, pizza parties and more. 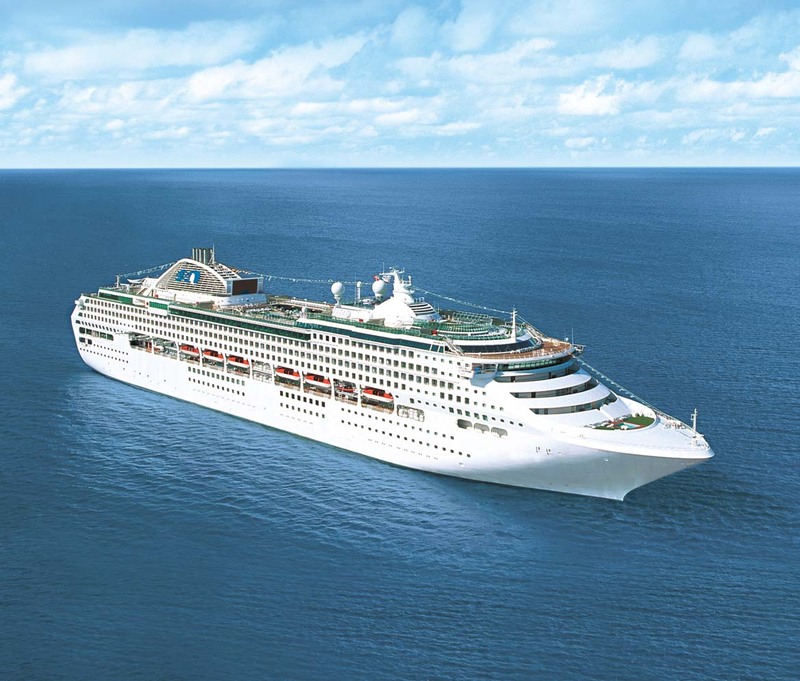 The Sea Princess will be travelling the globe during 2015, and visiting some of the world’s most desirable locations around Australia, New Zealand, Asia, Europe, North and South America, and the South Pacific. Australia is proud to be home base for the Sea Princess, and equally proud to showcase the vessel to the rest of the world. Download the Sea Princess deck plans from here or click on the image below. Let me know in the comments what your experience is with this great Princess cruise ship! time dining as an option.I wish it were possible as we have used any time dining on Princess before & it is a great option. I would be grateful if you could check & let me know.